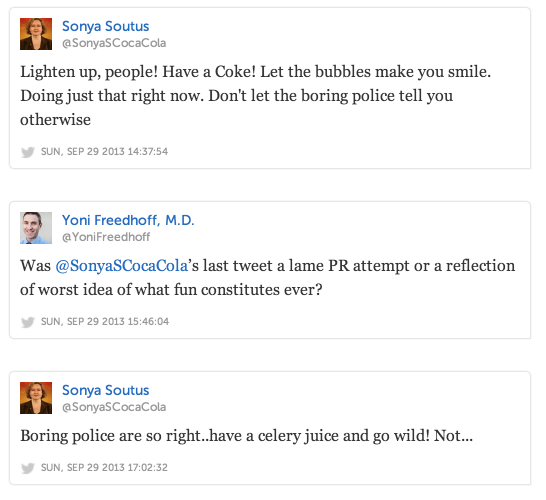 If this is what Coca-Cola's Sonya Soutus says about healthy eaters and those of us who think the world drinks too many sugar-sweetened sodas through the wide open door of Twitter, I can't imagine what she says behind closed doors. 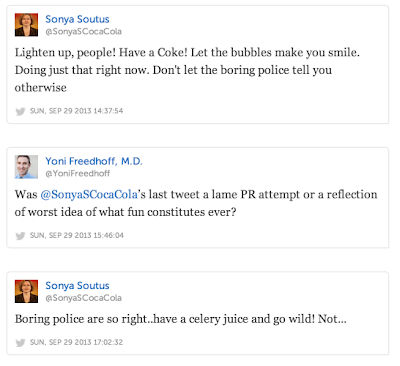 And before you get to the tweets (and a quick quip from me), bear in mind, Ms. Soutus is Coca-Cola's Senior Vice President of Communications. 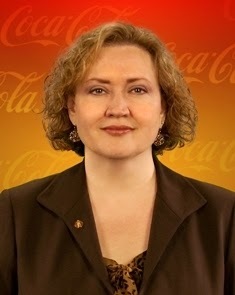 Seems to me what she's communicating is disdain and anything but "Coming Together" (Coca-Cola's catch phrase to describe how much they care about helping to fight obesity). BTW - I RT'ed Ms. Soutus' first tweet. Click here and you can read what others had to say (and join in yourself if you were so inclined).